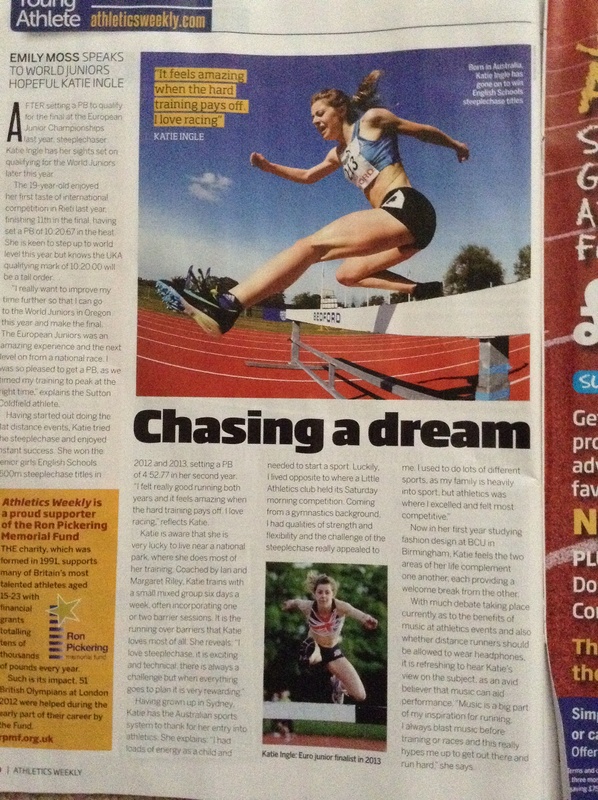 There was a great article about Katie Ingle in the “Young Athlete” section of last weeks Athletics Weekly. If you missed it there is a copy pinned up in the clubhouse (in Ian and Margaret’s Training area). Katie was in action in the 1500m steeplechase at a BMC event in Milton Keynes on Saturday. She ran a new PB and club record of 4.50.89 as she won the race comfortably. Well done Katie!